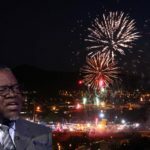 in his official New Year’s message to the Namibian Nation on the eve of 2019 President Hage Geingob said that every challenge faced, solution designed and initiatives taken by the nation laid the foundation of future success and have brought the entire country closer to realizing the vision of a better Namibia for all. It is my pleasure to send this message of goodwill and fraternal greetings to you, at this special time of the year. As we come together, united by the joy of celebration, we look forward to the dawn of a New Year, full of hope and promise. We therefore, prepare to enter the year 2019, with shared optimism. The New Year is a time of tradition, a time for forgiving past wrongs and coming together. A time of anticipation and promise. It is a time to rejoice the joy of life with relatives and family. It is a time to celebrate our freedoms, while ensuring not to infringe on the freedoms of our brothers and sisters. It is a time to celebrate our peace and unity. As we prepare to bring in the New Year, and in showing appreciation for the year that was, we give thanks to God, for having given us the courage and strength to persevere through difficulties, to accomplish our objectives and to renew our strength to continue improving our lives and those of our fellow Namibians. Over the past several years, we have been progressing steadily along our charted course towards prosperity. We have done so by focusing our efforts on executing specific actions that will enable us to create a conducive environment for success. In 2015, we commenced with the Year of Planning, in 2016 we had the Year of Implementation, in 2017 we had the Year of Re-dedication, this past year was the Year of Reckoning and now, as we ready ourselves for the year 2019, we do so knowing that it will be a year in which we, as politicians, will have to account to the electorate; the ultimate sovereigns who have ceded their right to administer by bestowing that responsibility to us. Thus, 2019 will be the Year of Accountability. The journey we traversed in 2018 was not easy. It was a challenging year, which forced us to engage in serious self-reflection, but ultimately allowed us to take important decisions which will benefit our country in the medium to long-term. Given the economic shortfall, we endeavored to work more efficiently and effectively with limited resources. We reduced wastage in the Public Sector. We also decided to investigate various cases of alleged corruption. Ministers who are alleged to be corrupt were questioned and those cases are now with the Anti-Corruption Commission. As a State governed by the Rule of Law, we believe in the concept of due process and we will wait for the investigations to be concluded before passing any judgments. Our economy remains volatile, but we have steadied the ship and anticipate that the tide will turn for the better from 2019. The global economic downturn has had a detrimental effect on productivity. However, this scenario compelled us to broaden our approach and thinking. I challenge all Namibians across the board, from students to workers, and professionals in the Public and Private sectors, to reinvent themselves. It is time for us to upgrade and learn new skills. Let us become more innovative, adapt, retool and reskill ourselves to benefit from new technologies and the Fourth Industrial Revolution. In so doing, we will stimulate growth and once the economic situation improves, we will stand ready to be competitive and leapfrog into the future. This year we also took a major step forward towards resolving the single most contentious and emotive issue in Namibia – the question of Land. Despite various misgivings, we successfully planned, organized and hosted the 2nd National Land Conference. In the coming year, we will commence with the implementation of resolutions taken at the conference, starting with low-hanging fruits such as the building of a shrine at Aminius in honour of Chief Hosea Kutako; looking to alleviate the effects of poverty in certain areas in the South of Namibia, as well as giving priority to women, youth and war veterans in terms of land accessibility. Informal settlements undermine the dignity of fellow Namibians. For that reason, Government took the bold step of eradicating informal settlements by declaring the situation in these areas a humanitarian crisis. On the issue of war veterans, we acknowledge that there were those who fought outside our borders. But, there were also those who engaged in battle on the Home front, the proverbial Belly of the Beast, through political agitation. All are equally important. In terms of our international relations, 2018 was a year in which Namibia continued to engage as a constructive player with countries across the world. Our country took over the Chairmanship of the Southern African Development Community (SADC). I had the pleasure of undertaking several state visits and also welcomed a number of counterparts who undertook state visits to Namibia. I will elaborate on these, and many other matters I have touched on during my State of the Nation Address in April 2019. Despite the challenges we have faced this year, I am encouraged by the fact that we have been able to stand tall through heavy storms and remain unshaken and solidly rooted. Our foundations of democracy, unity, peace, stability and rule of law remain steadfast. Our commitment to effective governance, characterized by sound systems, institutions and processes remains intact. 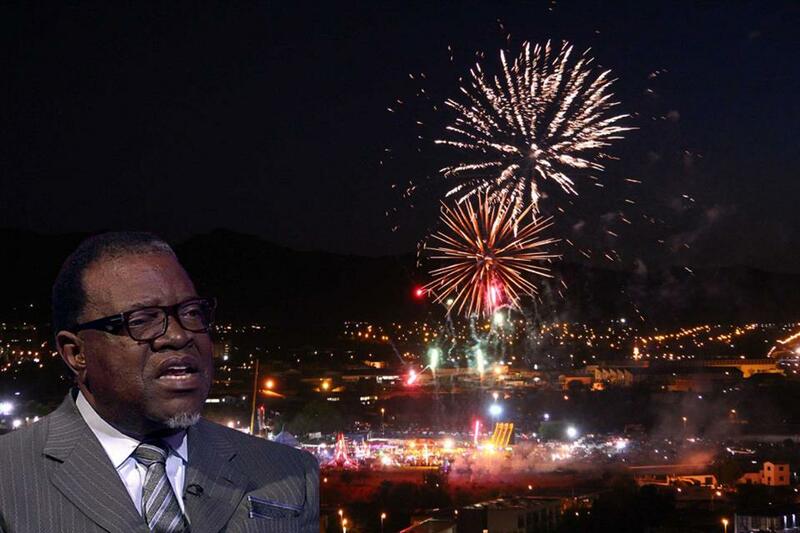 I call on all Namibians to embrace the dawn of the New Year with a sense of optimism and purpose; a sense of vision and a sense of patriotism. Let us embrace principles which transcend differences of ethnicity, tribe and community. Let us shun all retrogressive practices, pessimistic tendencies and doom sayings. Our success will be guaranteed only if we come together and pull together in the same direction of unity, peace and progress. Let us enter 2019 in a spirit of sharing, and goodwill towards our brothers and sisters under the roof of the Namibian House. Address, I will give a detailed accountability report while outlining the agenda for the remainder of the term. In conclusion, as we say goodbye to 2018, let us look forward to 2019, knowing that every challenge we have faced has made us stronger. Every solution we have designed has made us better and every initiative we have taken brings us closer to realizing our vision of a better Namibia. The foundation for our future success has been built. Now is the time to drive forward with unity, patriotism and self-belief. Together, we will create the Namibia we want; a Namibia of peace, harmony and shared prosperity. On behalf of the Namibian Government, my wife, Monica and myself, I wish all Namibians a safe, happy and prosperous New Year. May God Bless the Republic of Namibia. Previous : It’s already New Year somewhere!